Since 1946 we have been serving our customers in the Miami Valley. We are a Third Generation Family Owned and Operated Home Furnishing Business with two showroom locations - Piqua and Bellbrook. Let our staff assist you in any phase from floor to ceiling of your home or office project. Custom handmade furniture. From rustic to modern and everything in between. We create handmade custom furniture for you. From wood slab tables to unique seating. The antique and heirloom furniture found today survived for a reason. 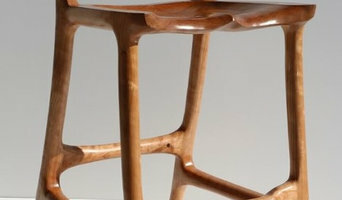 Artisans used strong, traditional joinery to build furniture to last. We use this joinery to ensure that our furniture will be the antiques of the future. 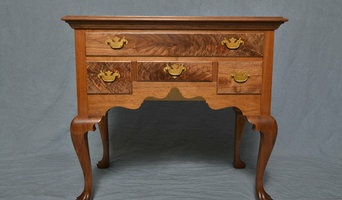 We specialize in the creation, restoration, and replication of fine furniture to the highest quality. Quality - At Globe Furniture we feel that our reputation is reflected in the furniture and mattresses we sell. We are confident in the workmanship of the brands we carry. Selection - Whichever room in your home you are looking to furnish, whatever look you wish to attain, Globe has a selection "For Every Room in Your Home." With over 55,000 square feet of display area our 5 showrooms and 30 room gallery offer you every opportunity to find the look, the price, and the piece for any area of your home. Our catalogs and upholstery fabric walls offer hundreds of additional options for custom ordering. Sales Staff – Our professional Sales Associates are here to assist you in making choices with confidence. We will guide you to select the style, size and color to suite your taste and needs. We can arrange your room with the use of a computerized room layout program. We offer in-home consultation. For more than a century, craftsmen have been carefully constructing Waddell display cases in the time-honored tradition of Waddell quality. The Waddell brand of display cases has been part of the Ghent Manufacturing family of brands since 1986. We are proud to say our products are manufactured in small town U.S.A, our skilled artisans use only the finest materials to produce a wide variety of display cases that maintain the quality of fine furniture. The difference between a Waddell showcase and others is in the details. This distinctive level of quality can be touched and seen in the solid, well-constructed fit and finish of every case. Tempered glass exteriors, adjustable shelves, and built-in floor levelers are among the extraordinary traits found in a typical Waddell case. By selecting a product from the Waddell collection, you can be confident that you are investing in the best combination of style, durability, value, beauty and tradition. When you choose Waddell, your accomplishments will be elegantly displayed and your legends will live on for many years to come. We combine today's technology and designs with yesterday's personal commitment to constructing the finest U.S.A. made cases available. We invite you to view the many styles of traditional and contemporary Waddell cases shown in this collection. Quotations for customized products are also available. We are a full service custom furniture supplier. We specialize in creating custom furniture including tables, lamps, desks, etc, from reclaimed wood and industrial piping. Winsome Cottage opened it's doors in July of 2009. We are a husband and wife team working together to fill our shop with vintage and new finds including furniture and home decor. Our line of custom furniture has become our most popular items for the past two years. We are continually adding new designs to meet our customers need. 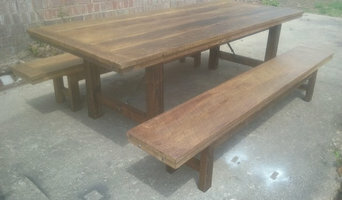 Customer chooses size and finish from our farm tables, consoles, shelving and more. At Warren Furniture we strive to provide you with the finest quality home furnishings available anywhere at the guaranteed lowest price possible. Our reputation is built on the quality of our products and we stand behind the quality of everything we sell so you can have the confidence that you have bought a sturdy American Made product at a great low price. The vision of three successful business women is the inspiration behind the creation of 5th Avenue Exclusives. With over 25 years of experience working in the fashion and home accessory industry, we set out to create a marketplace that introduces fresh, new designs that help you curate an exclusive look for your home. The staff at 5th Avenue Exclusives takes pride in selecting product of superior quality and craftsmanship. We are committed to making your shopping experience one of ease and excitement. Thank you for shopping at 5th Avenue Exclusives. Why should I use a Fayette County, OH furniture designer or home accessories professional? Think about what pieces you need or what your vision for the overall look of the room is. Do you have very specific ideas for what furniture you’d like or do you just know the colour palette or the basic type of furnishings and accessories you want? If you have very specific ideas it could be an option to look at Fayette County, OH bespoke furniture designers and makers. They will work with you to produce one-of-a-kind pieces to make your ideas come to life. Otherwise, it’s a fantastic idea to hire a Fayette County, OH home furnisher to help you choose furniture and accessories to work with your interiors. Professionals with years of experience will have a great eye for picking out the right pieces based on your brief and your room design, saving you the time and stress of hunting down the pieces yourself. However, when not constrained by time, some homeowners can really enjoy the furniture hunting process. Tracking down unique or vintage home furnishings from furniture manufacturers, retailers, car boot sales, showrooms, auctions and home furnishing stores in Fayette County, OH can be a real thrill, especially when you find exactly what you were looking for or perhaps something completely unexpected but brilliant nonetheless! If your budget can’t stretch to bespoke, designer or professional-picked pieces, this is also the best and most convenient option. Try browsing through the collections from a furniture manufacturer to see if they have any styles you like, or scour secondhand furniture shops and auction houses if you’re after something with a history. It’s not all about the furniture, though. 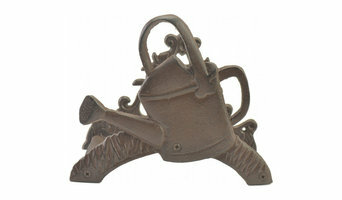 Your home accessories can provide the finishing touches to any room in the house. Table lamps, plants, cushions, rugs, candles, ornaments, artwork and picture frames are just a few of the accessories you can use to round off the style of your room and add personal touches. It’s easy to find ideas for these smaller furnishings with plenty of Fayette County, OH home furnishing stores and their products listed, as well as the furniture designers, manufacturers and makers. Find Fayette County, OH furniture designers and accessories manufacturers, showrooms and suppliers on Houzz. Narrow your search in the Professionals section of the website to Fayette County, OH furniture and accessories, then choose the nearest area for showrooms and retailers. Or you may want to look through Fayette County photos to find furniture designs you like and contact the furniture manufacturers and showrooms directly.